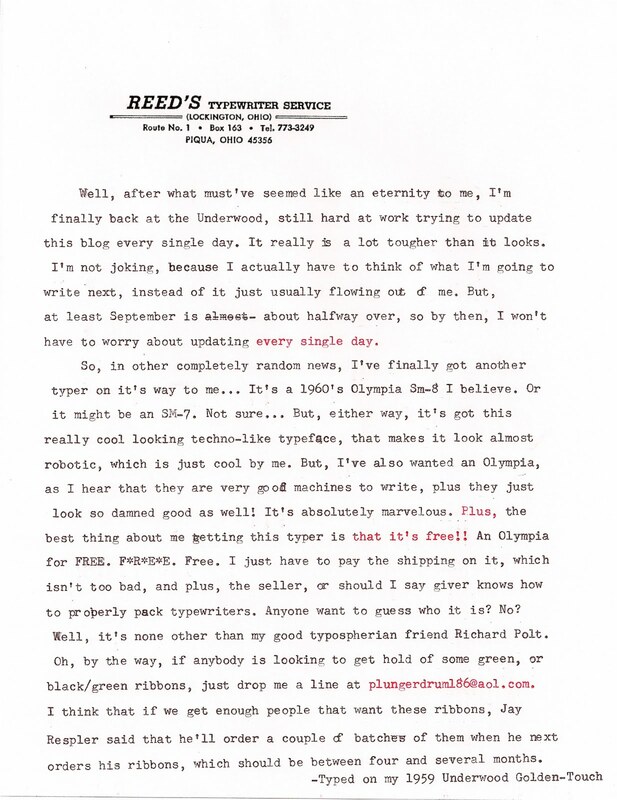 The Written Word: Free Typewriter! LOL I *knew* it was you that beat me to the 7! That's ok man, I'll be happy with the my first wide-carriage acquisition. Maybe Techno is a young person's typeface. Did you see the responses to it on Writing Ball? Haha! Sorry! But I've always wanted an Olympia. Funny, as I never pictured myself with an SM-7, but, hey, you never know! 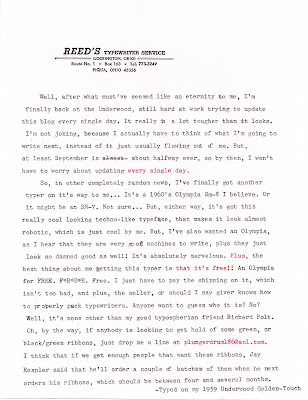 But, I, like you, actually like this font, and I've always wanted a typewriter that has a strange font like this, as up until now, all the typewriters I've had/have were just Pica or Elite machines.